Hosting a Cinco De Mayo party? Advertise it with this colorful flyer! 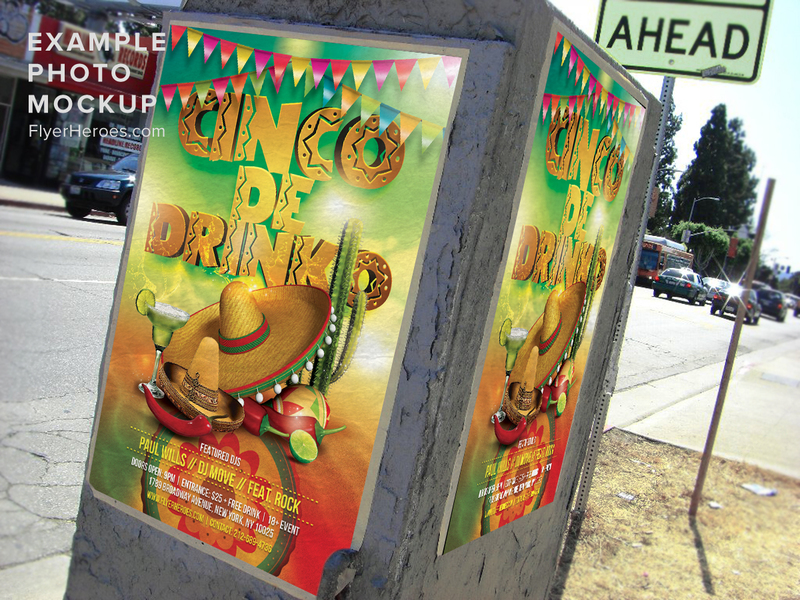 This flyer uses bright colors and 3D graphics to really grab attention. 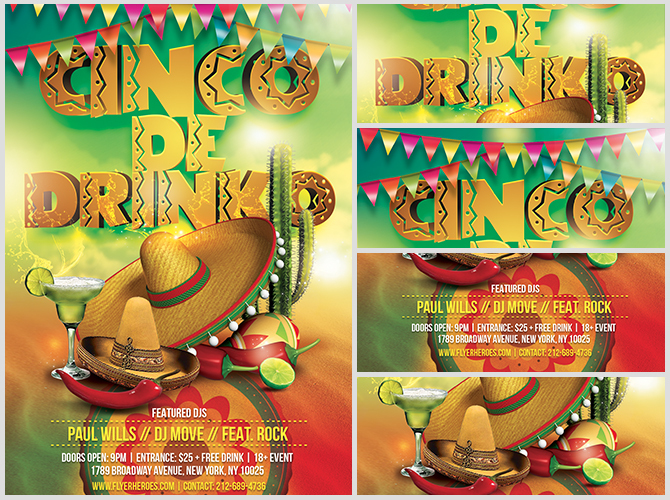 Green, white, and red gradients appear as part of the background, which uses abstract lines and flares to give the flyer extra depth. The center content is framed by bright, multicolored flags and a medallion at the bottom. 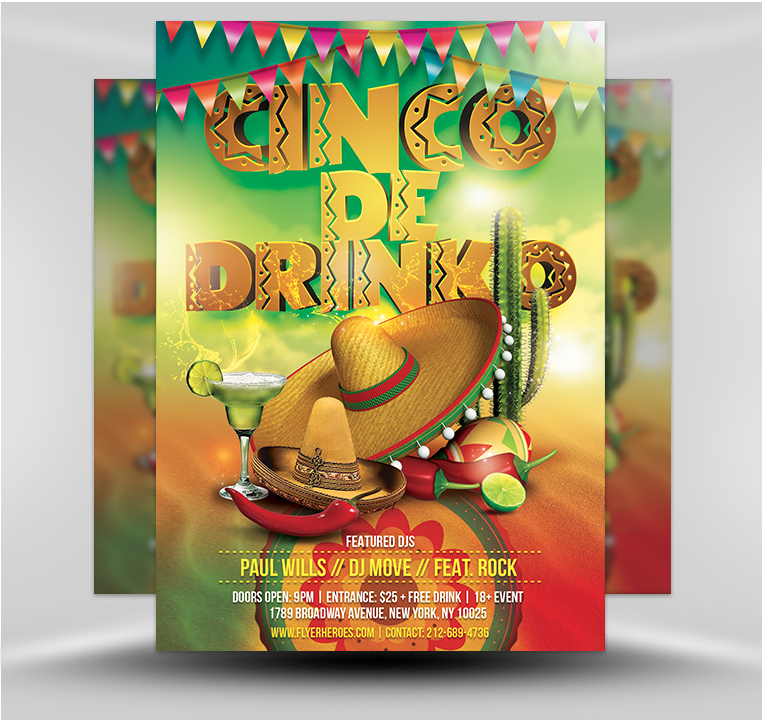 The large event text uses a wide, geometric font, with a 3D effect that gives the fonts an engraved feel. Decorative elements appear in the center, all designed to look like rendered object. 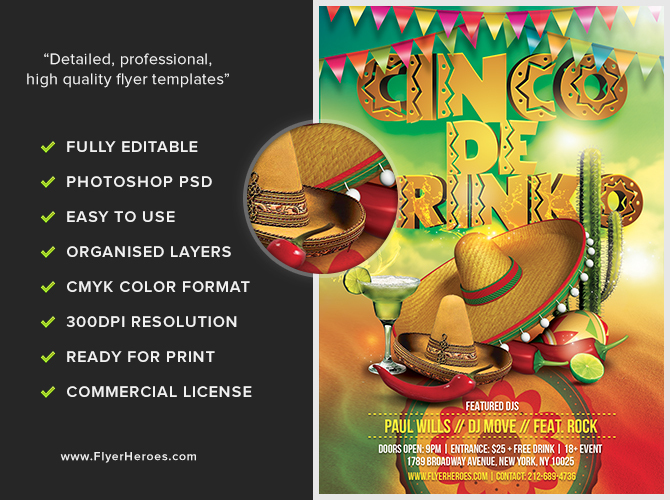 Our Cinco De Mayo flyer uses techniques to make the contents leap off the page, perfect for grabbing your customer’s attention!